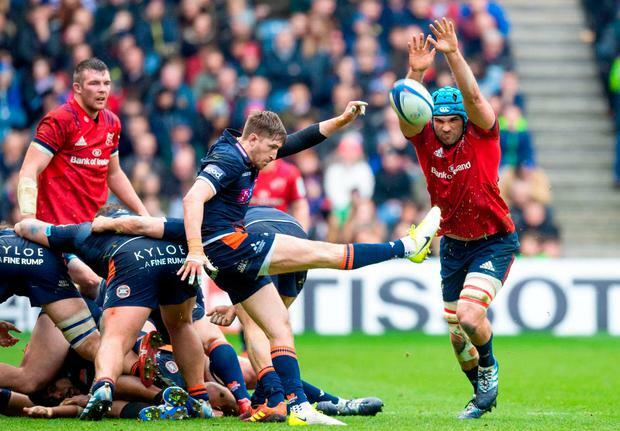 For a few minutes after full-time, the Munster players lingered on the Murrayfield pitch and savoured the moment. In the dressing-room, Johann van Graan’s message was to enjoy the night. This morning they turn the page on another remarkable chapter in their European history and focus on what they can do to make this season different from the last two. In 2017 they travelled to the Aviva Stadium on an emotional current under Rassie Erasmus and found out where the level was; Saracens’ dominance wasn’t fairly reflected on the 26-10 scoreboard. A few weeks later Scarlets blew them off the park in the PRO12 final at the same venue. Twelve months on Van Graan was at the helm as Teddy Thomas and Racing 92 steamrolled them in the Champions Cup semi-final in Bordeaux. Then they came to the RDS and produced a performance that came up just short against Leinster as they exited the PRO14 at the semi-final stage. On Easter weekend they return to the Champions Cup semi-final stage in Coventry. Saracens are again their opponents after they destroyed Glasgow on home turf and the team who won the 2016 and 2017 editions will take some stopping. Munster have dug deep to get here, but this time they’re determined that the last four is a stop on the road instead of a final destination. 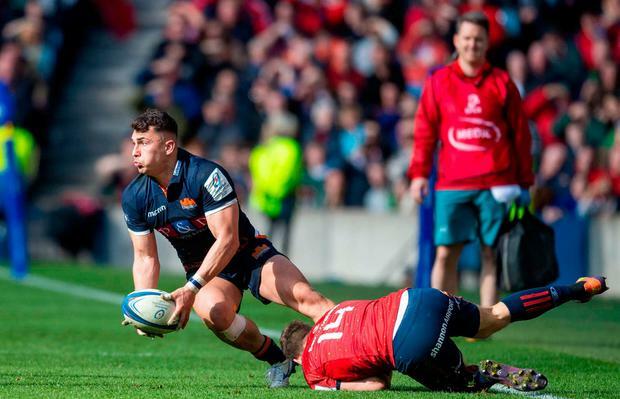 They have business to conclude in the PRO14 as they fight on two fronts, but for this group of players, particularly those raised locally, there is a burning desire to bridge an 11-year gap to a European final. “Two years ago a lot of our guys hadn’t played in a European semi and over the last two seasons a lot of that group that we have now have got that experience,” Rory Scannell said. “We probably let ourselves down over the last two years in the semis and we’ve definitely learnt from that. Going on the road won’t hold any fear for them. This season, their route back to the final four has seen them win in Exeter, go close in Castres, hammer Gloucester and come from behind to beat Edinburgh. Saturday’s game was a real test for a team who had not played together since January and who had to deal with plenty of adversity. 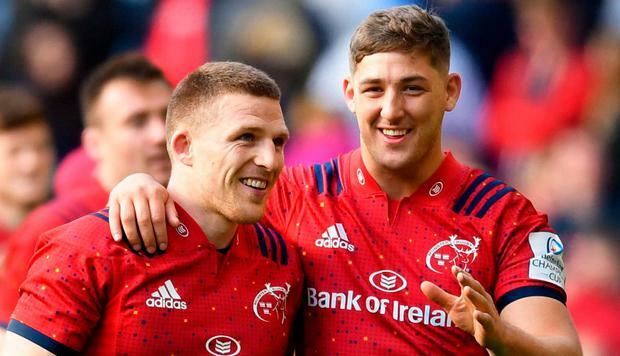 Mike Haley’s withdrawal forced a back three reshuffle and the former Sale full-back might struggle to get back in given how well Andrew Conway, Darren Sweetnam and the hero of the hour Keith Earls went. Jack O’Donoghue was lost to a head injury midway through the first-half and Joey Carbery was gone before half-time. Edinburgh owned the ball and spent an age in the Munster half, but JP Ferreira’s defence held firm under huge pressure. Yielding only one try in those circumstances was a remarkable result. Their European experience told. Earls recognised that opportunities were at a premium and took matters into his own hands with a smart tap and go try before half-time, while they hung on in after Chris Dean’s try and kicks from Jaco van der Walt. 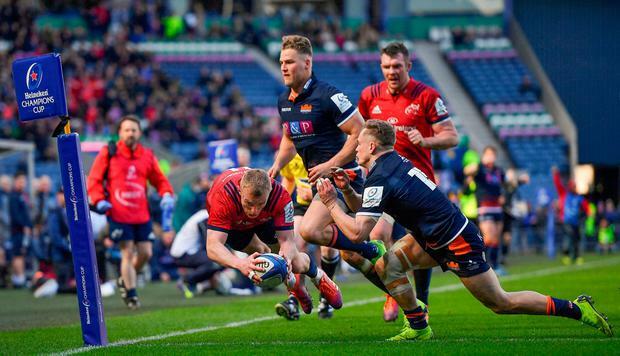 They let a few chances slip; a 10-man maul failed to get the requisite purchase and a 5m scrum ended in an Edinburgh penalty, but they rode out those momentum shifters and continued to tackle and tackle and tackle until another opportunity came. It arrived when South African prop Pierre Schoeman stepped into Tadhg Beirne’s path with an elbow raised. The Kildare native went down in a heap and was attended to by two medics as referee Pascal Gauzere reviewed the footage and considered whether to reverse an Edinburgh penalty within kicking range. In the end, he reckoned it was bad enough to merit the change and Tyler Bleyendaal kicked his team into position and then bailed out Rhys Marshall when his throw cleared the tall timber. Stephen Archer spotted CJ Stander in a spot of bother and ripped the ball to restore forward momentum, before Conor Murray peeled right and drew in the defence. Then Scannell and Chris Farrell combined to release Earls to score with a superb finish in the corner. Bleyendaal held his nerve to deliver a sublime touchline conversion to force Edinburgh into trying to score a try from within their own half. There was still time on the clock for a comeback, but the defence held firm, with Arno Botha prominent. This was a squad effort. “We really back ourselves and the game-plan, you know?” Scannell said. “Once we got ahead, we managed the game pretty well. Even when we were under pressure, there was no point where we thought we couldn’t win. “There’s real belief in the team, we know we can win those close games. There is, he admitted, plenty of room to improve before they pitch up at the Ricoh Arena to face one of Europe’s heavyweights. “We can definitely hold on to the ball better, play in the right areas of the pitch… our penalty count was pretty high and a lot of them were at the breakdown,” the centre said as he considered the next three weeks together as a squad. “I think there’s definitely things we can get better at and we’ll work on those in the next few weeks. “The Irish guys came back in after a tough Six Nations. We haven’t had a whole lot of time training together and stuff. “It was great to get the win, but we’ve a couple of weeks now before the semi, which is great. “We probably both kick the ball quite a bit. They have some quality players, a lot of the English boys in there as well. No doubt they’ll be backed by a huge travelling support once again. On Saturday, around 15,000 Munster fans made their voices heard and were treated to another gritty win on the road. Now, as supporters plot their routes to Coventry, the team turn their focus to Saracens and begin planning their shot at the final. In 2013, Clermont blocked their path and a year later Toulon did for them in Marseille. Saracens were there in 2017 and then it was Racing. 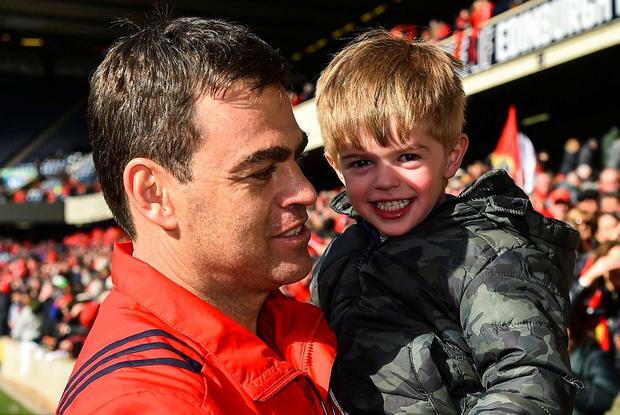 At the fifth time of asking, this Munster team want to end the long wait for a semi-final win and an 80-minute shot at the title they grew up watching their heroes win. Doing themselves justice at the Ricoh will be a start. Only a fool would right them off. Edinburgh – D Graham; D Hoyland, J Johnstone (M Bennett 72), C Dean, D van der Merwe; J van der Walt, H Pyrgos (C Shiel 77); P Schoeman (A Dell 77), S McInally (capt) (R Ford 77), WP Nel (S Berghan 58); B Toolis, G Gilchrist; J Barclay (M Bradbury 58), H Watson (J Ritchie 72), V Mata. Munster – A Conway; D Sweetnam, C Farrell, R Scannell (D Goggin 77), K Earls; J Carbery (T Bleyendaal 36), C Murray; D Kilcoyne (J Loughman 61), N Scannell (R Marshall 65), J Ryan (S Archer 58); J Kleyn (B Holland 4-14, 60), T Beirne; P O’Mahony (capt), J O’Donoghue (A Botha 29), CJ Stander.